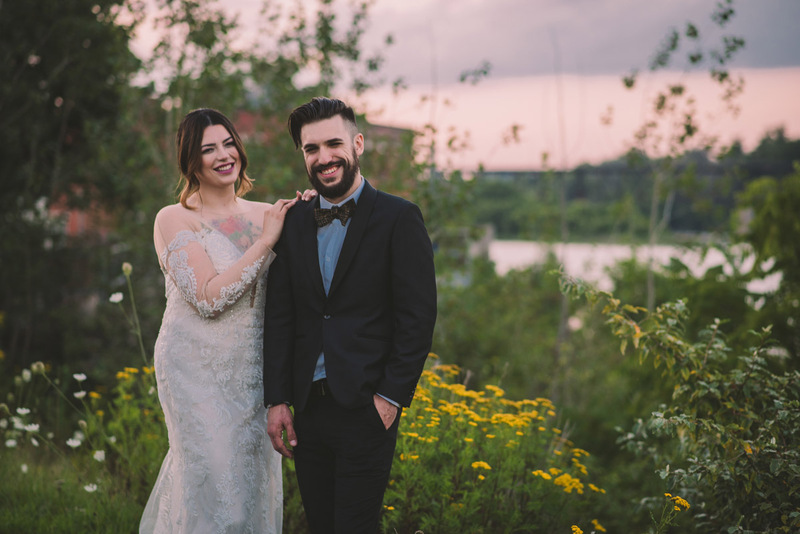 Last fall I had an amazing, super fun engagement photoshoot with Sabrina and Max, and I couldn’t wait to work with them again! 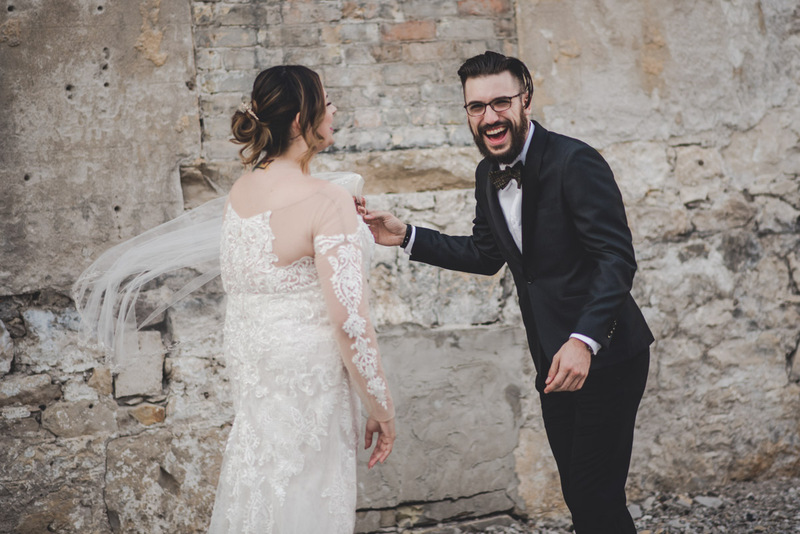 These two are SO much fun – within minutes of originally meeting them it was very obvious that they truly are kindred spirits. 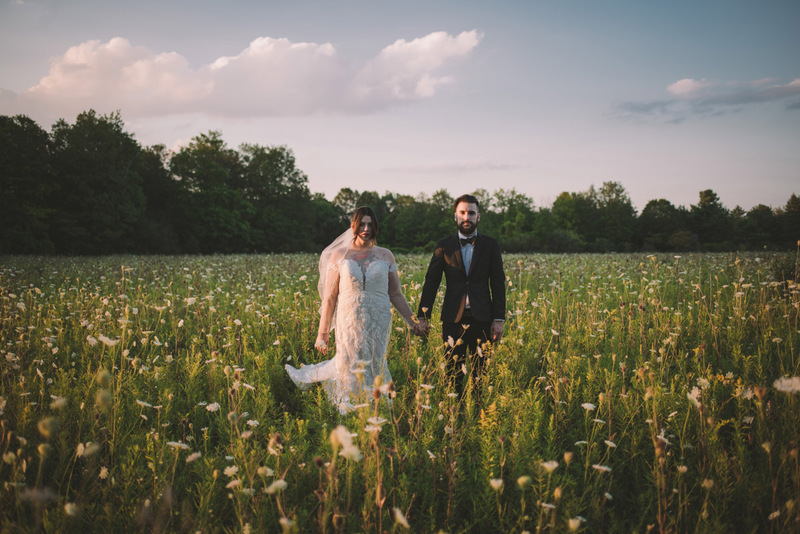 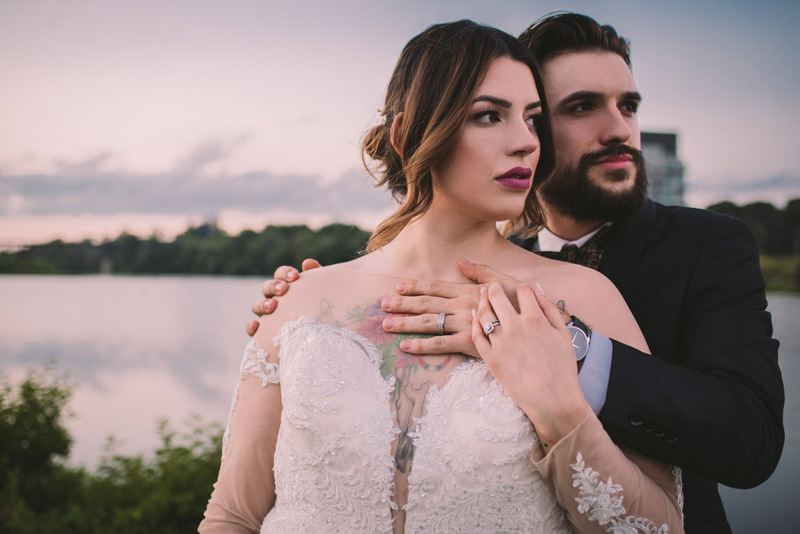 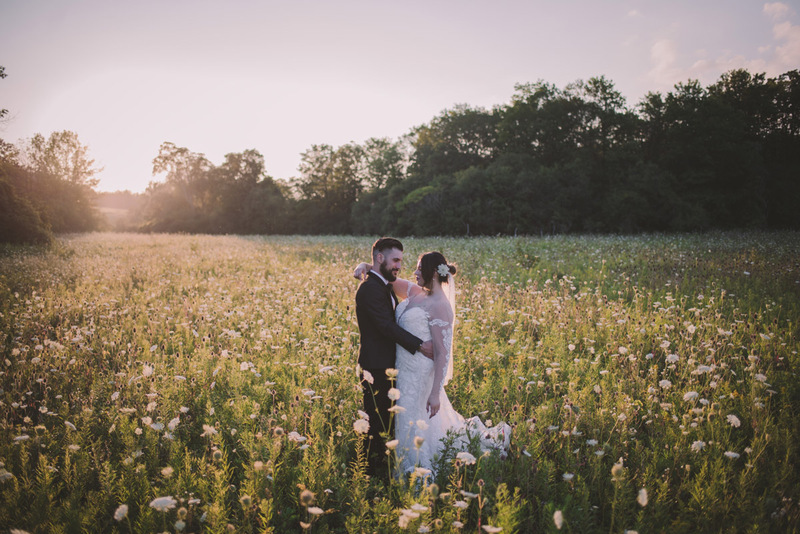 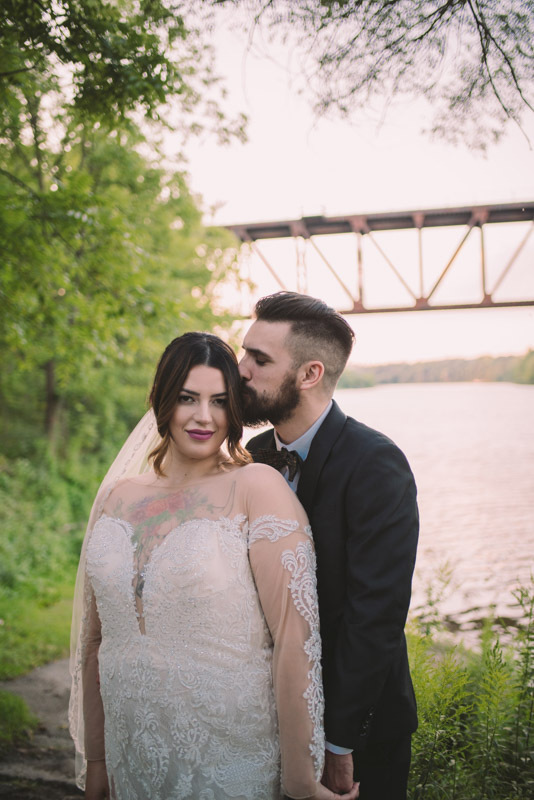 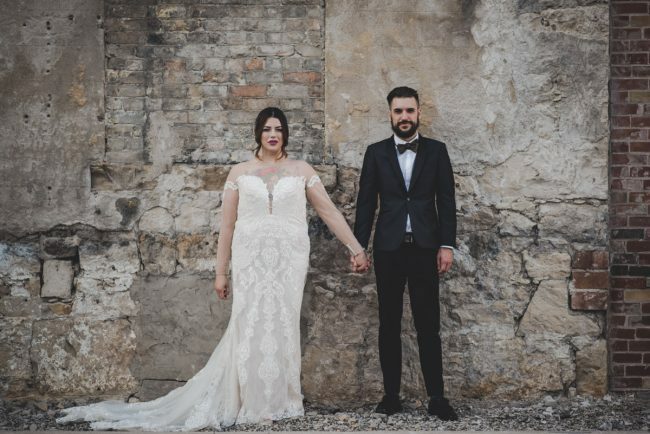 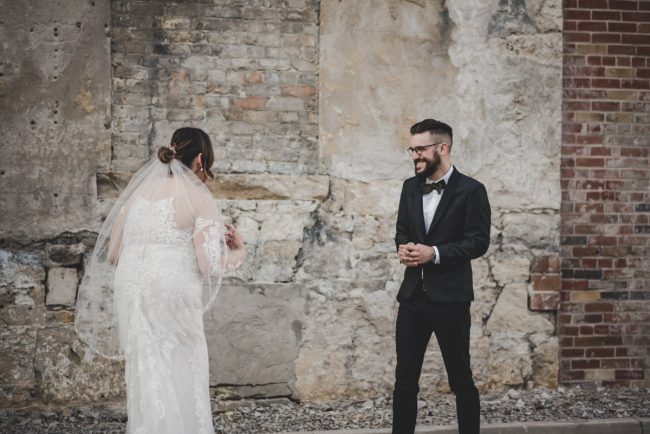 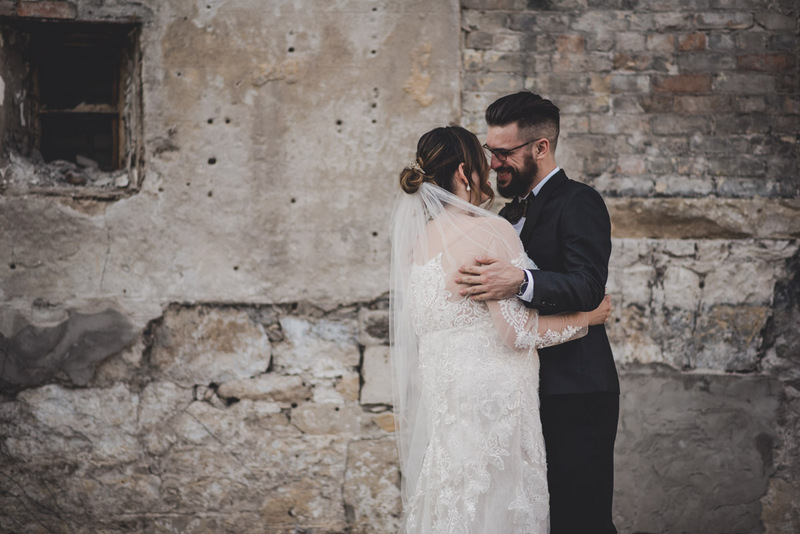 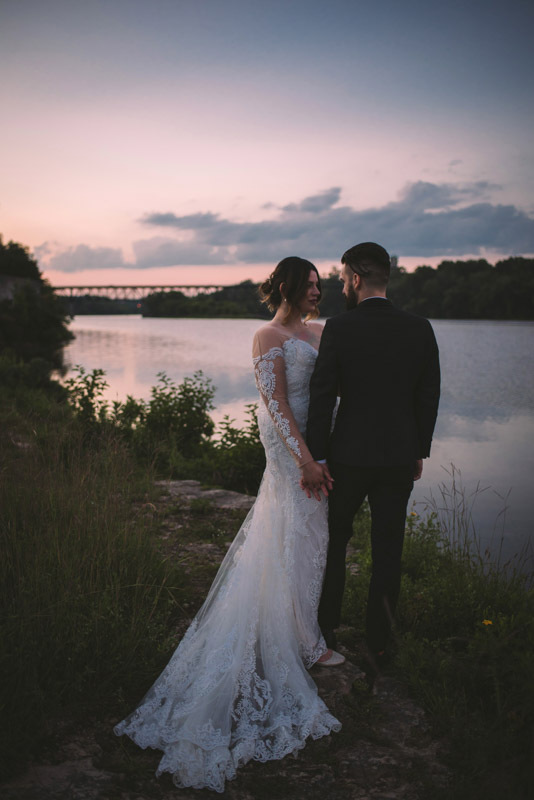 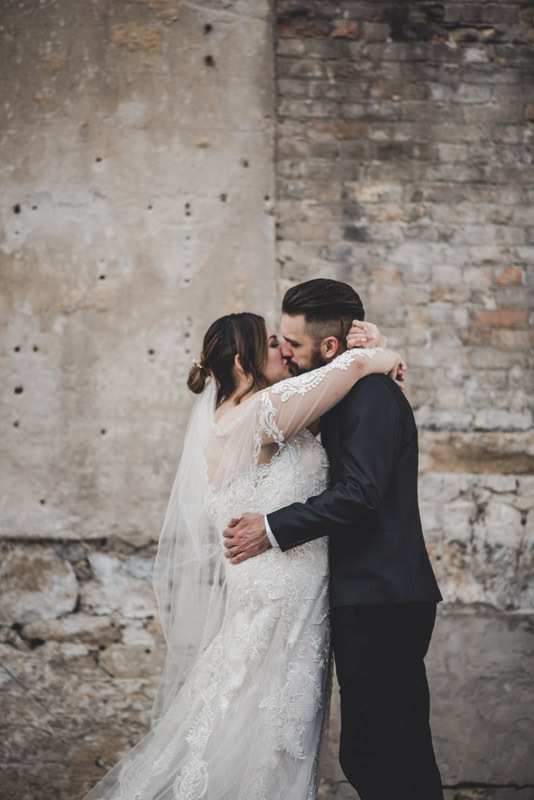 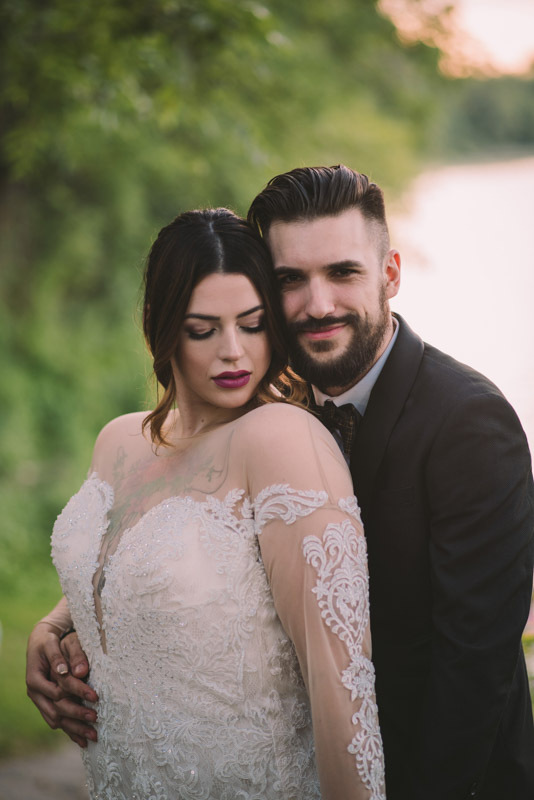 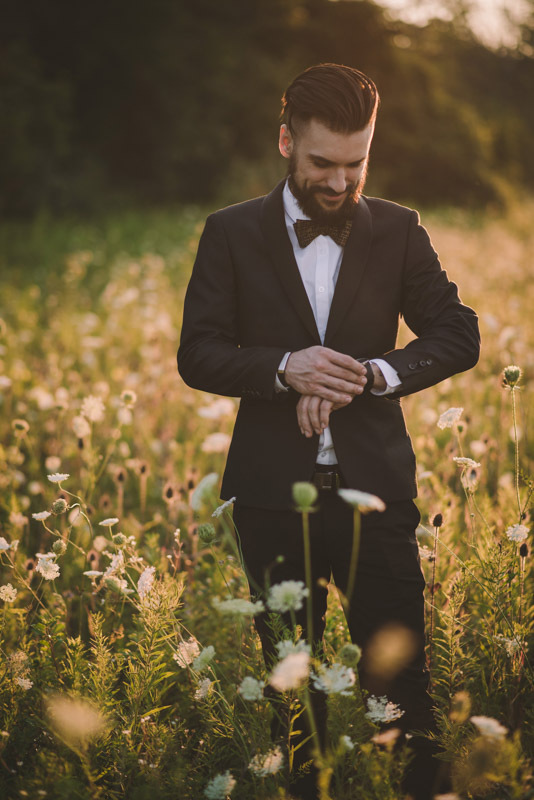 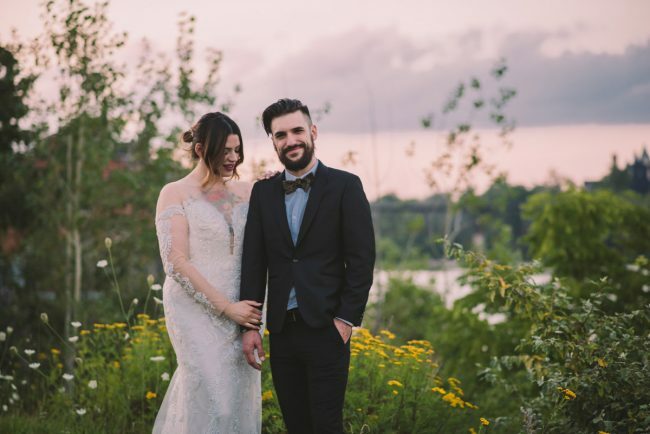 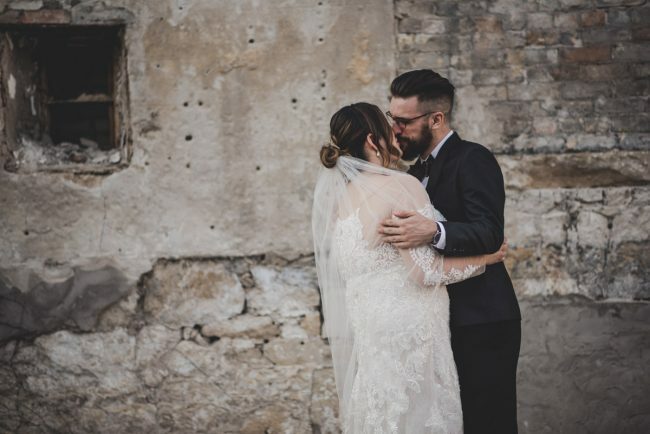 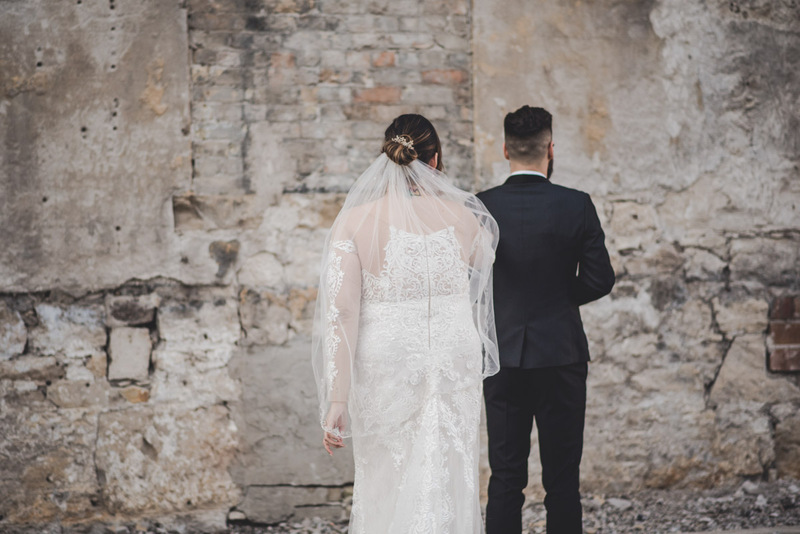 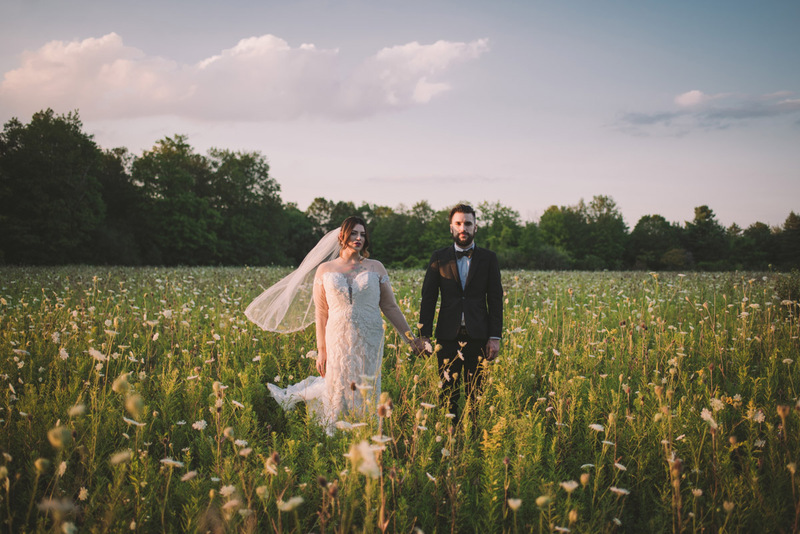 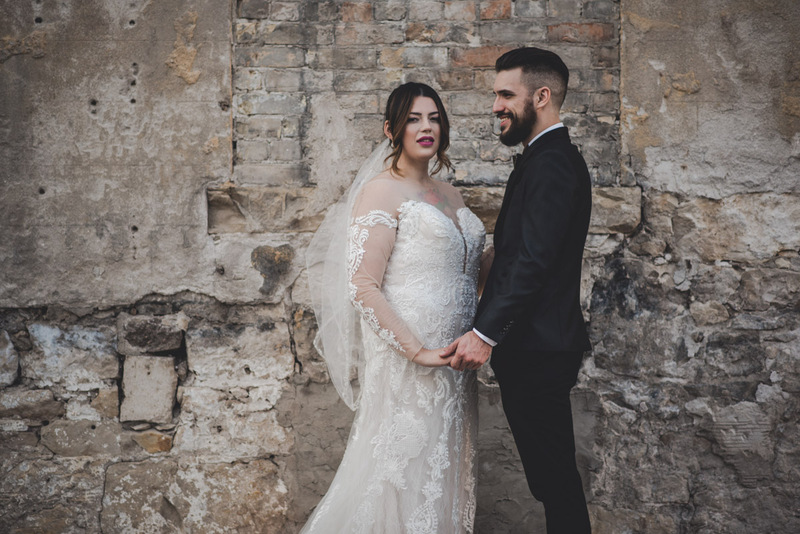 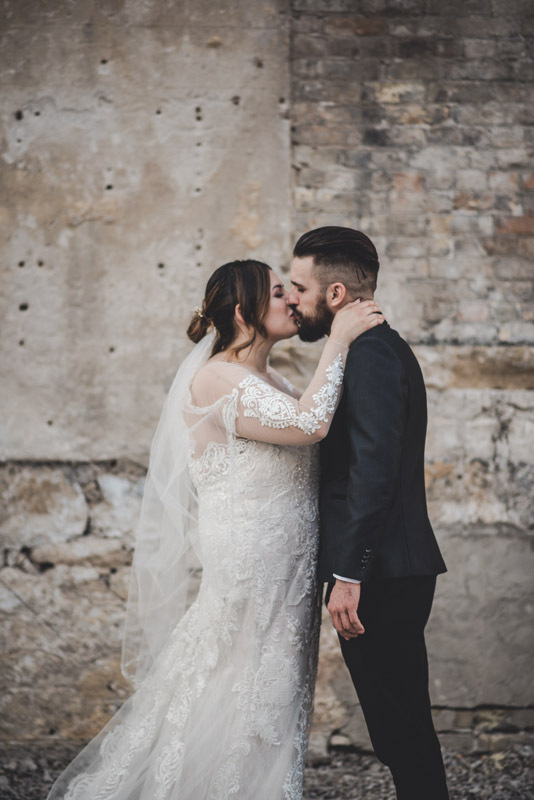 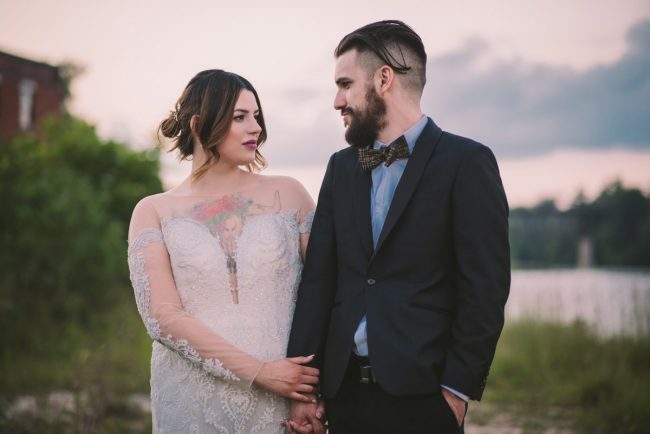 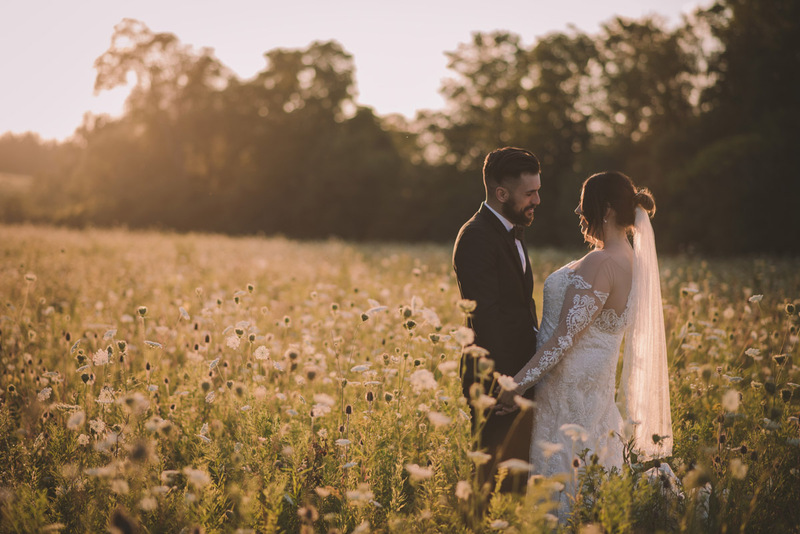 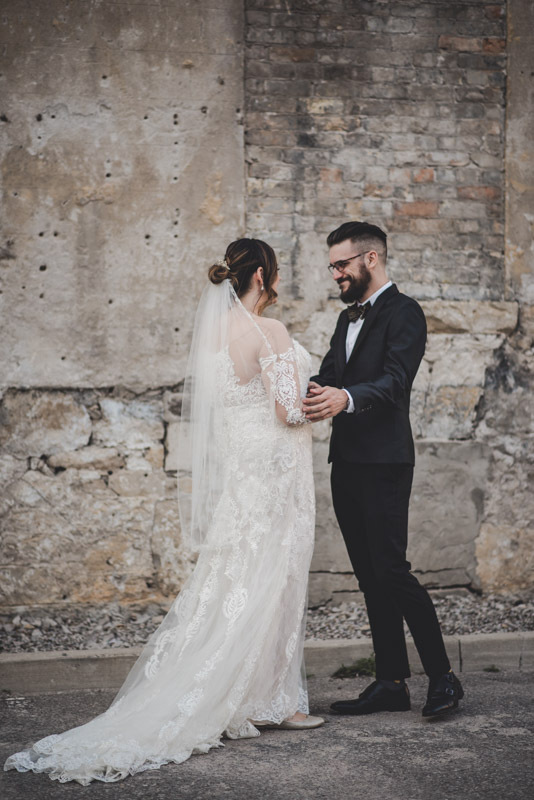 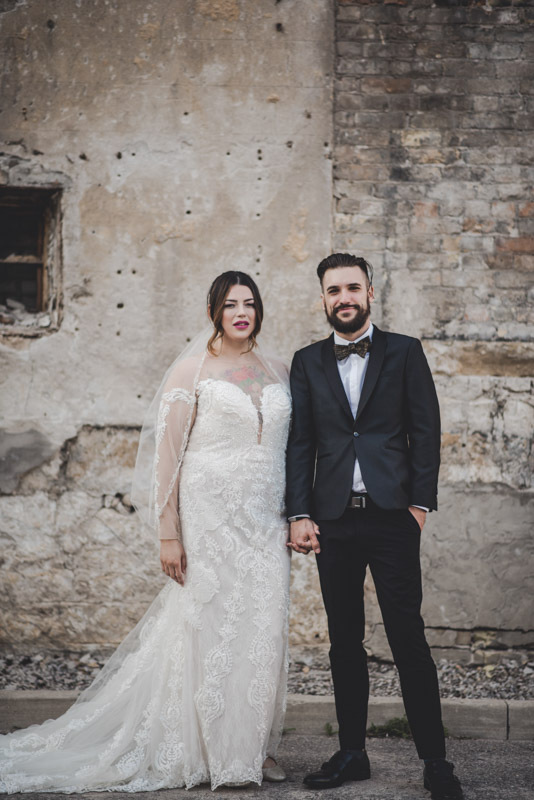 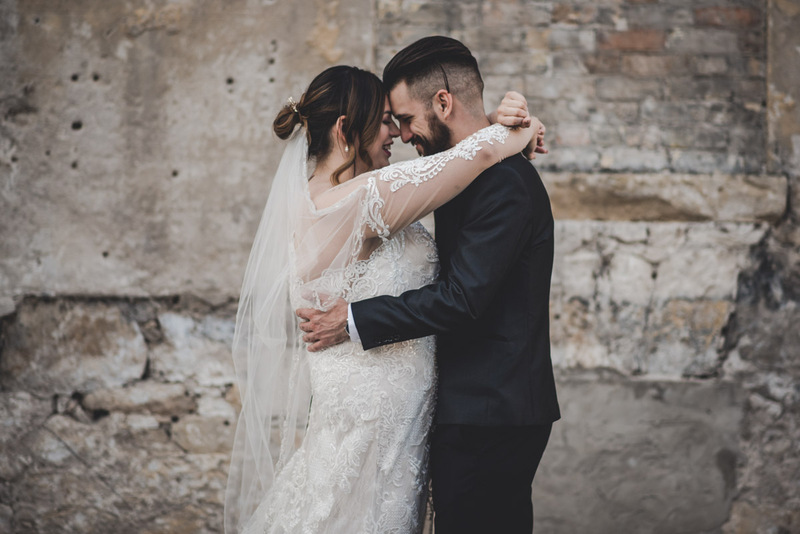 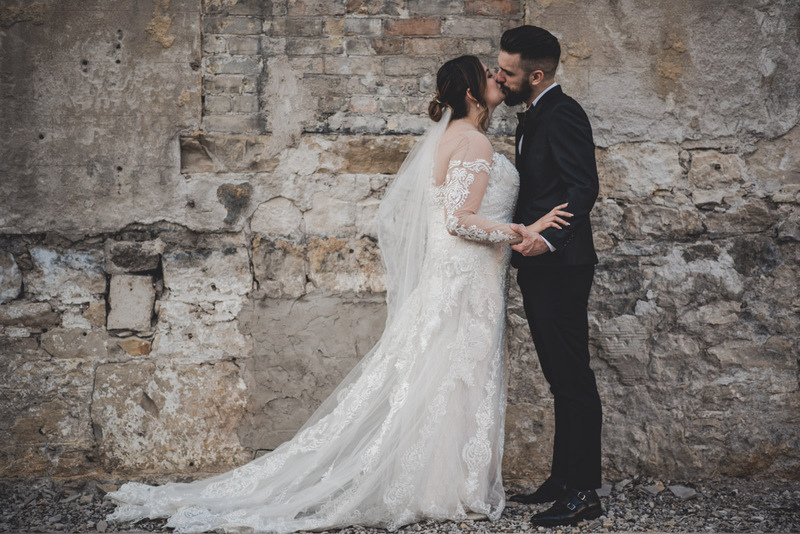 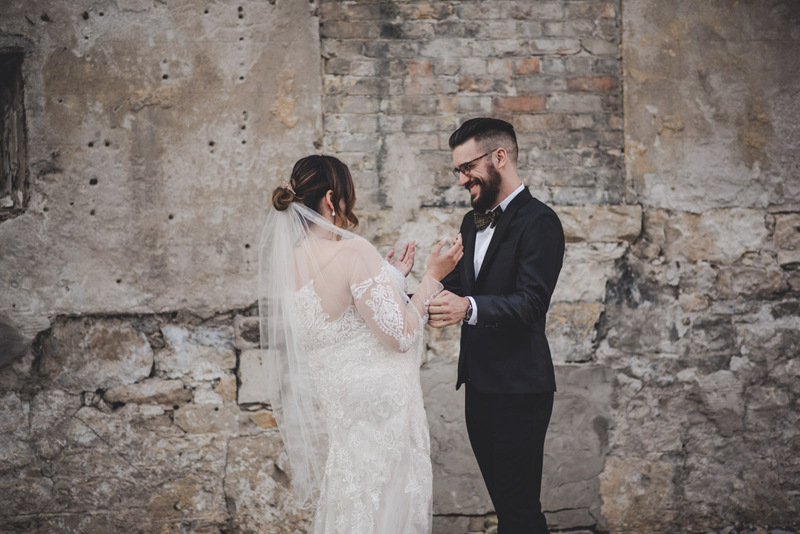 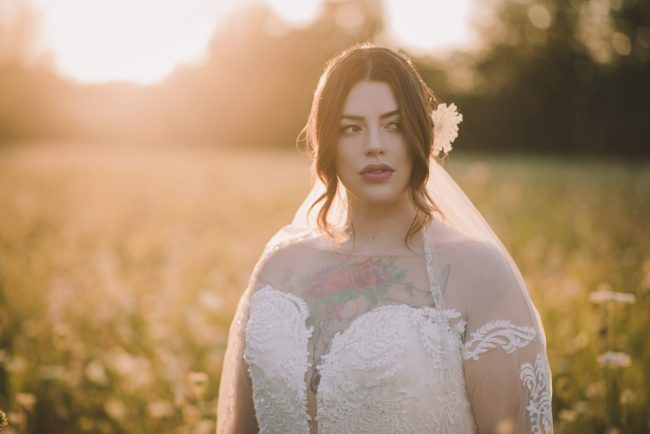 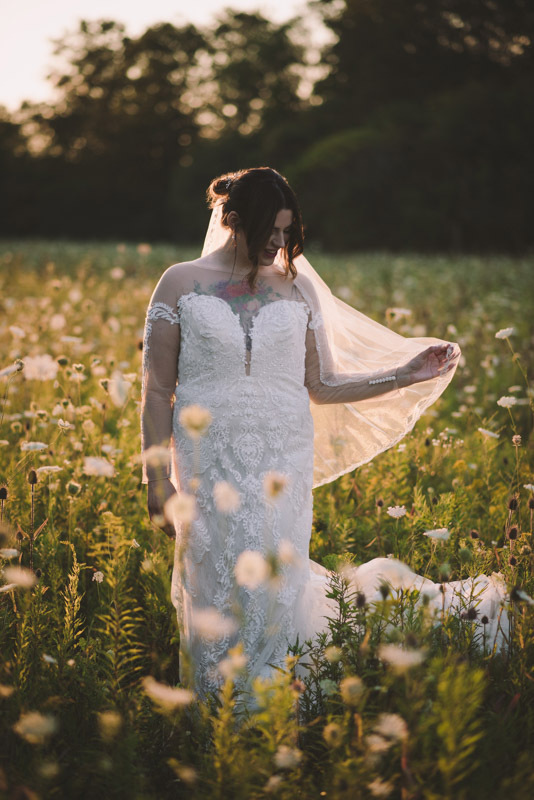 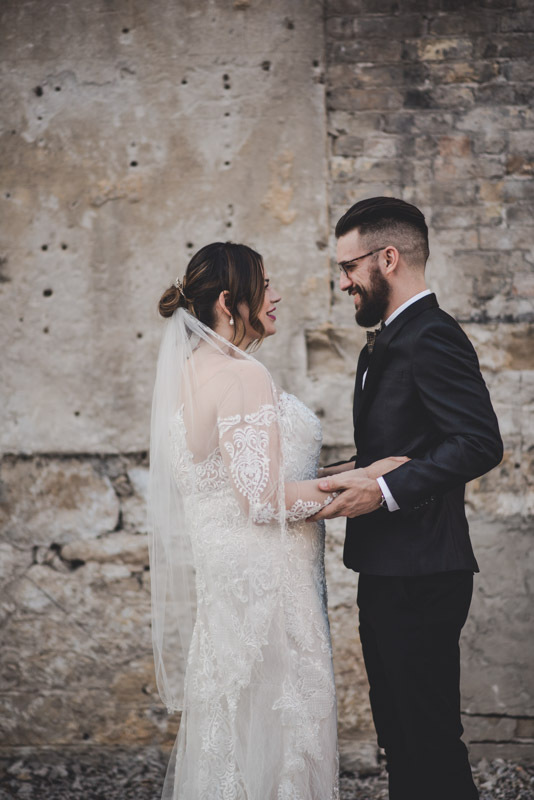 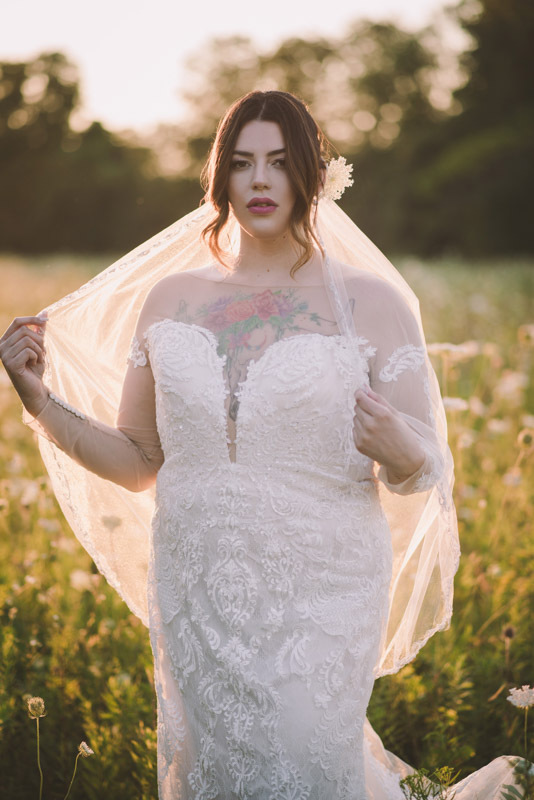 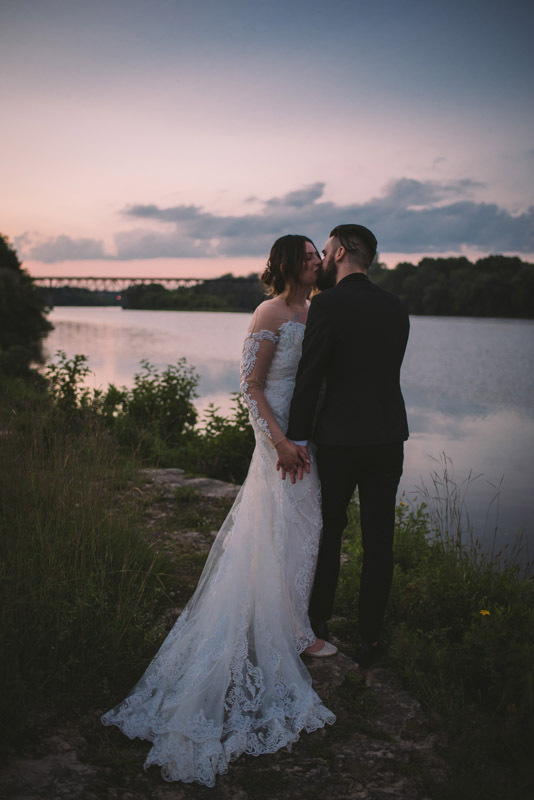 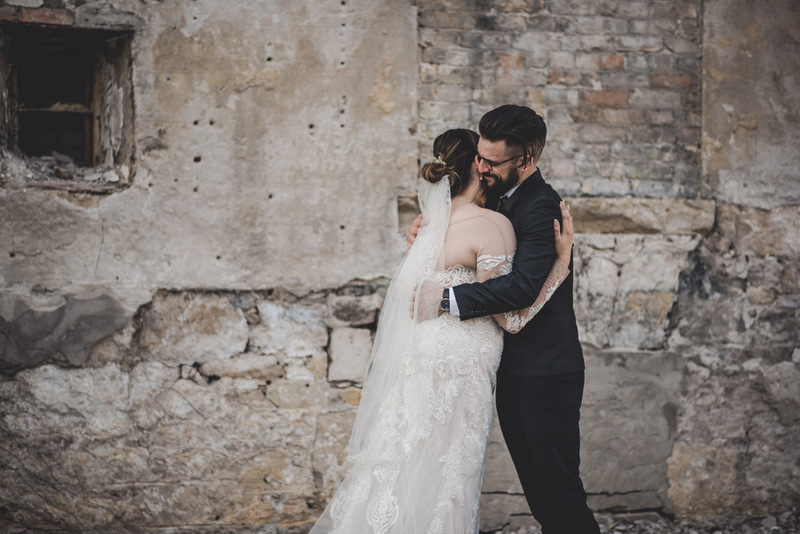 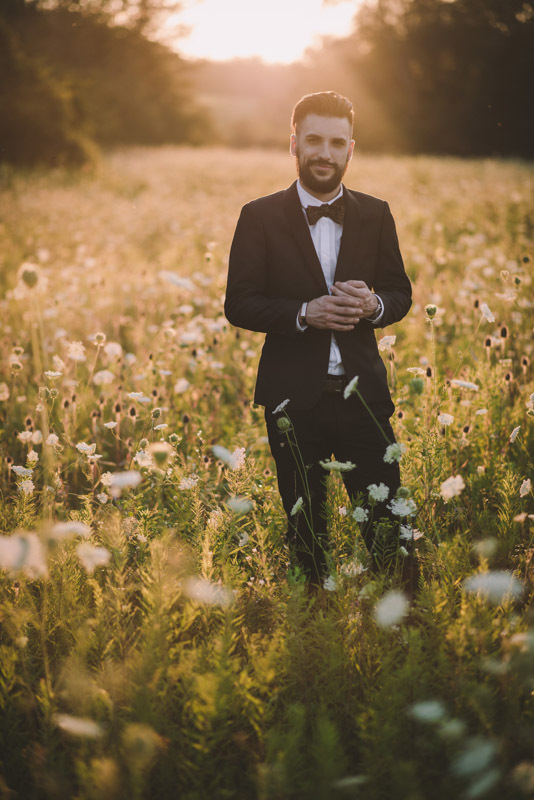 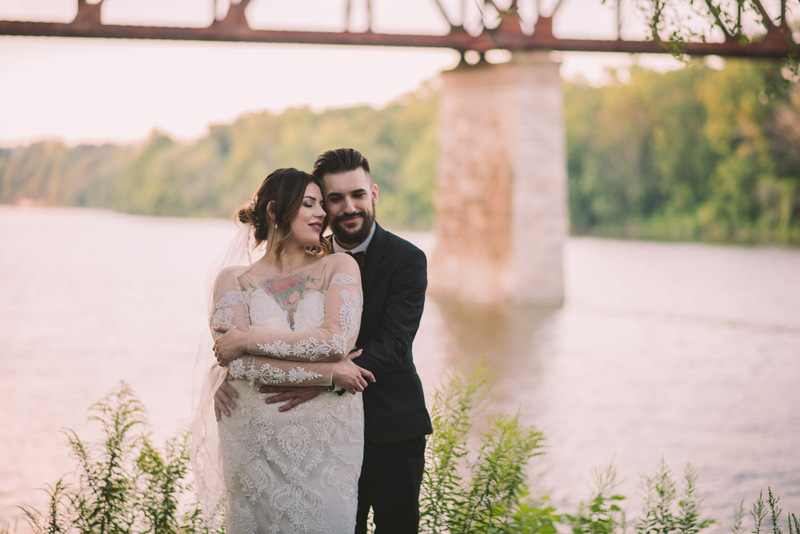 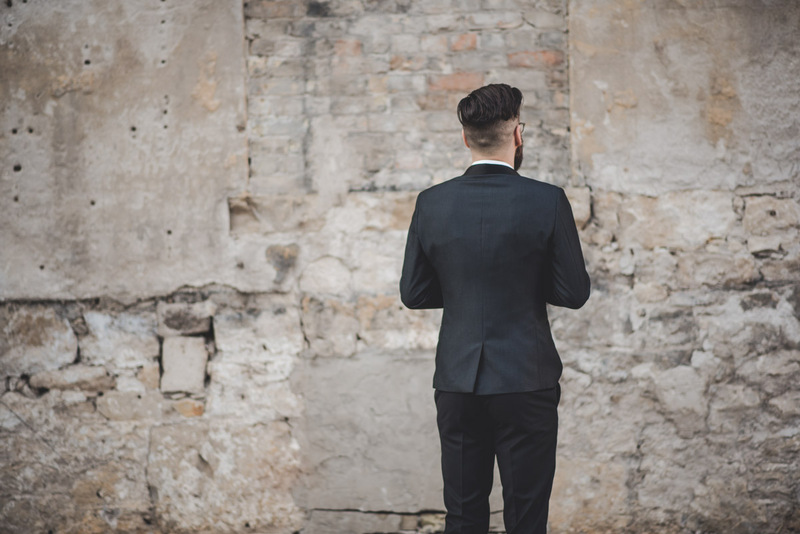 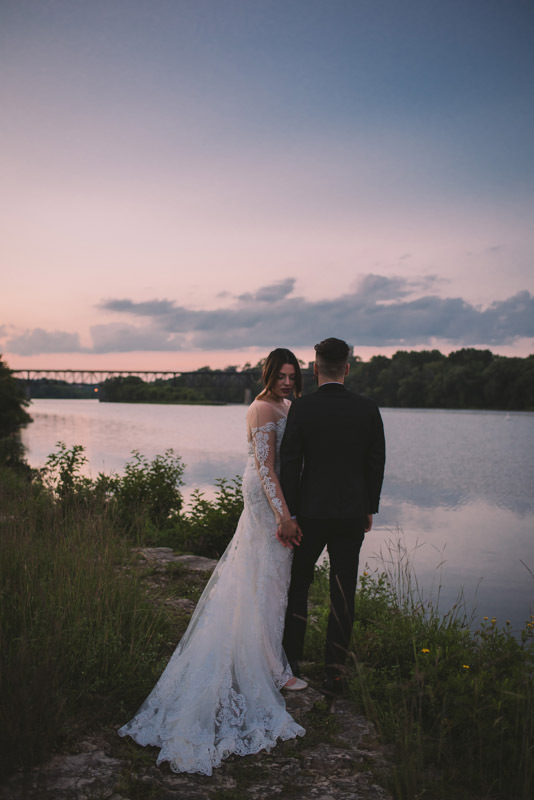 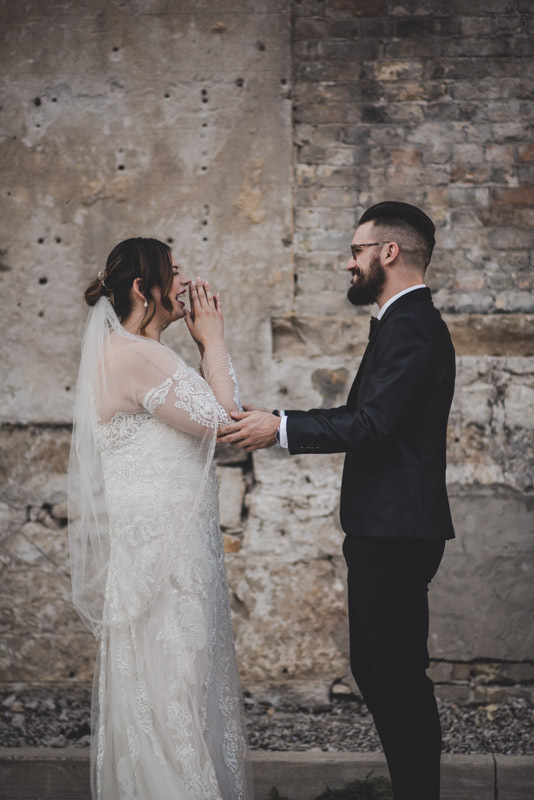 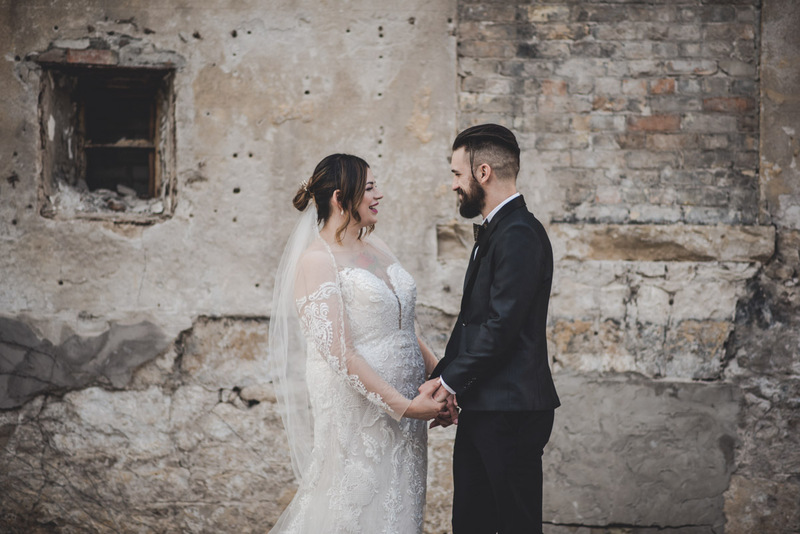 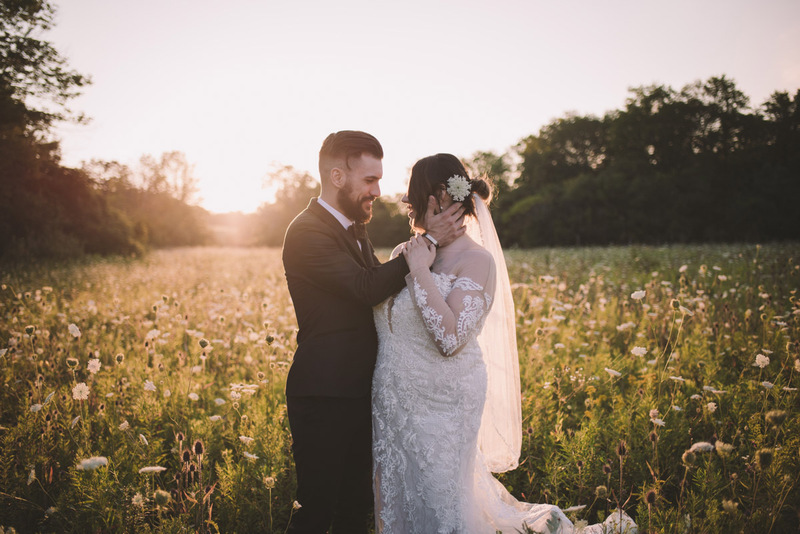 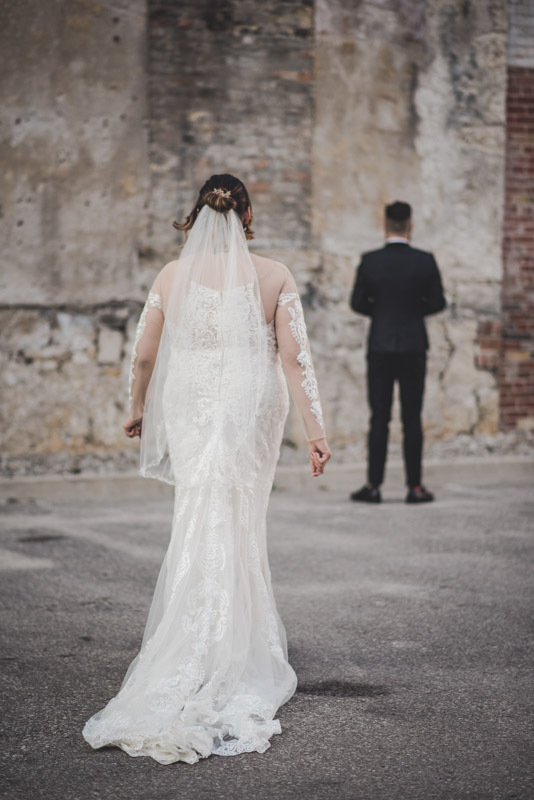 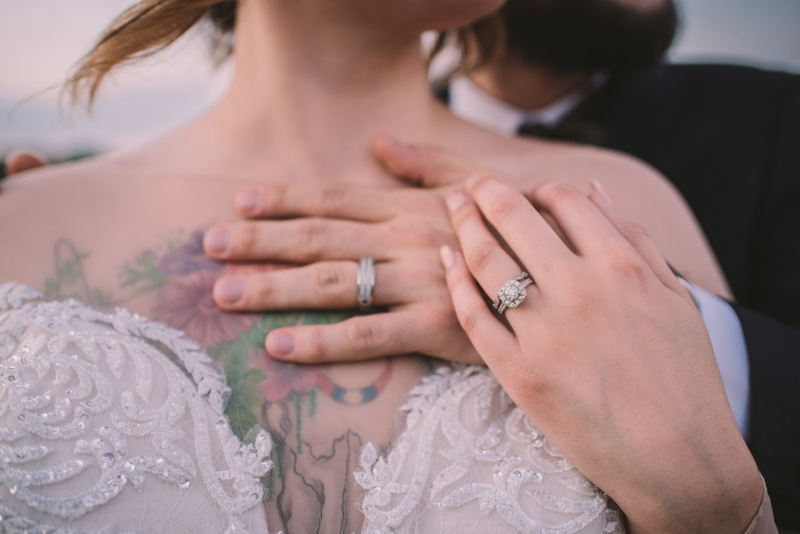 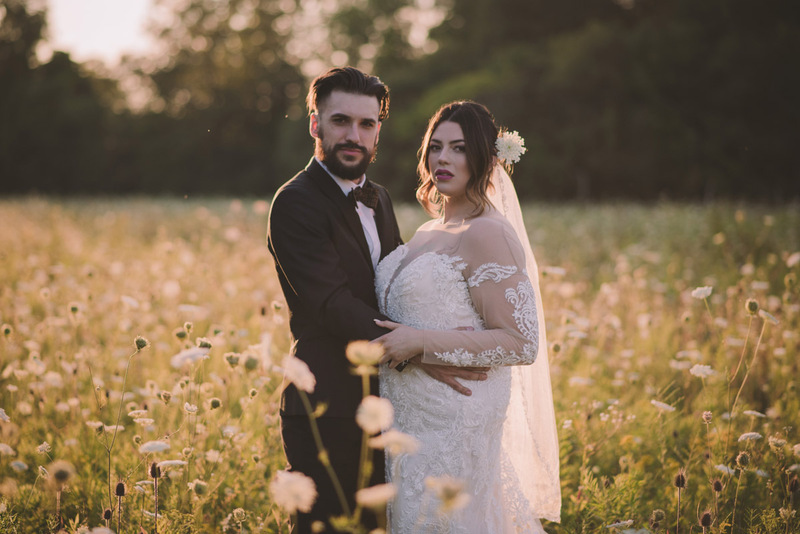 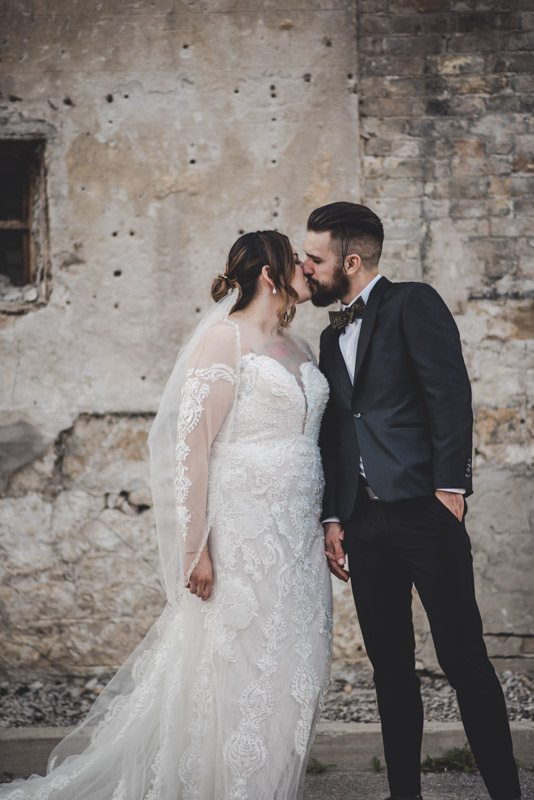 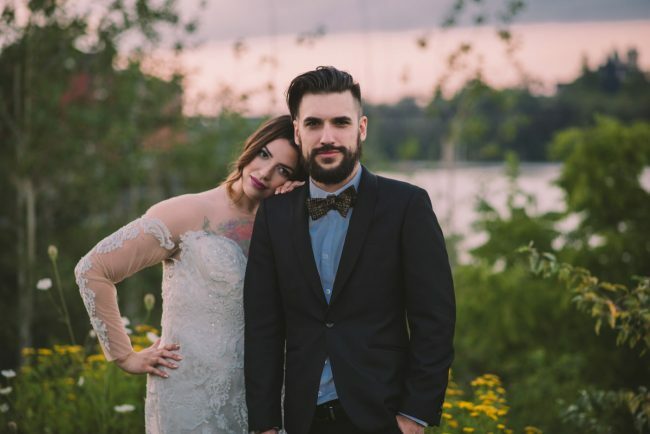 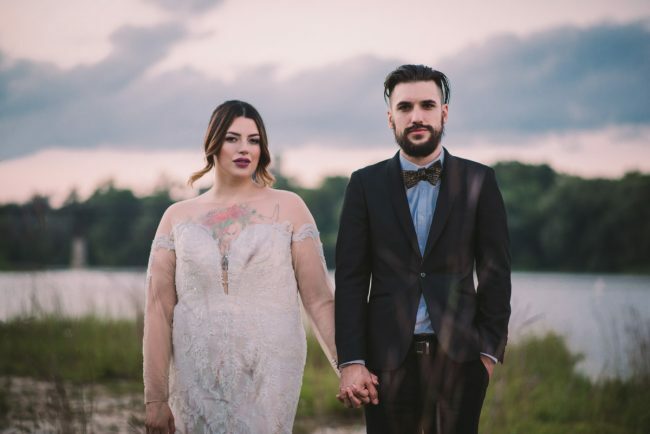 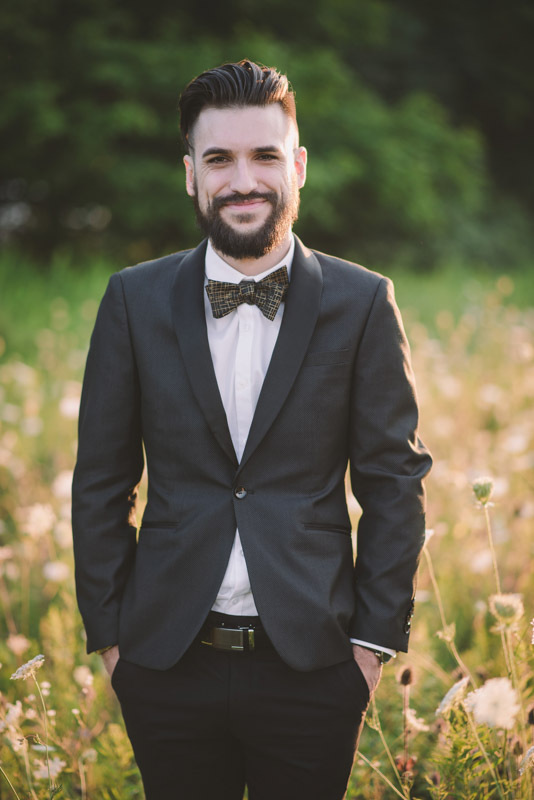 This past August, we celebrated their marriage with a first look by EVO Kitchen where their reception would later take place, and an elopement photoshoot in Cambridge, Ontario. 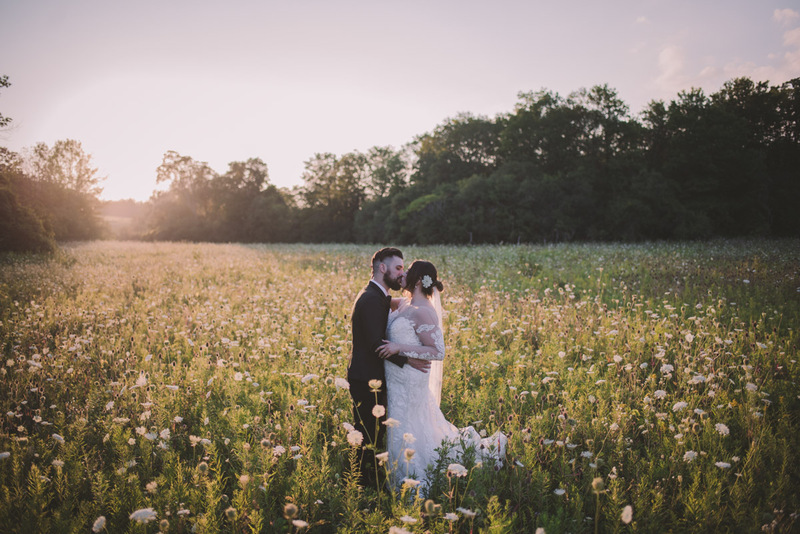 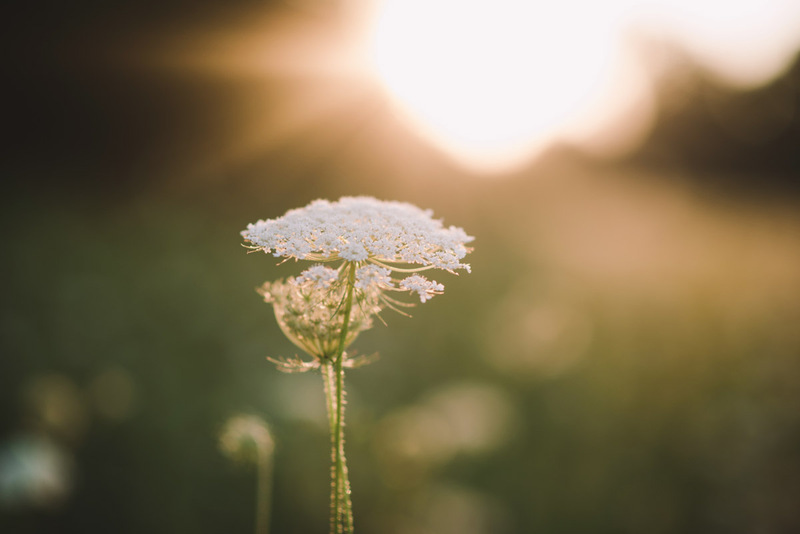 On my way to meet with them I drove by a spectacular unkempt farm field overgrown with Queen Anne’s Lace – when I told them about it, they were eager and did not hesitate to do a bit of off-roading with me as we trudged our way into the field…and it was SO WORTH IT! 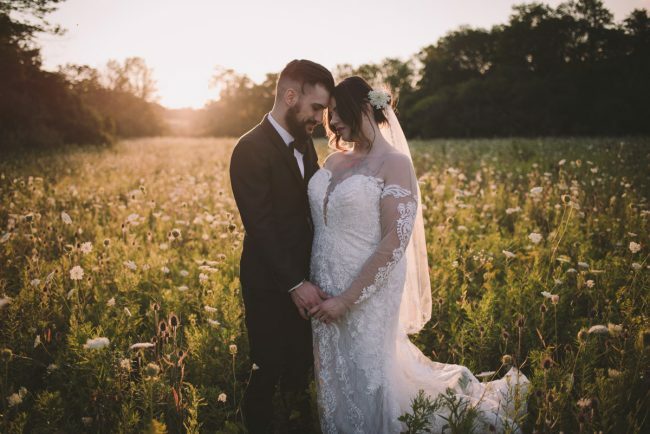 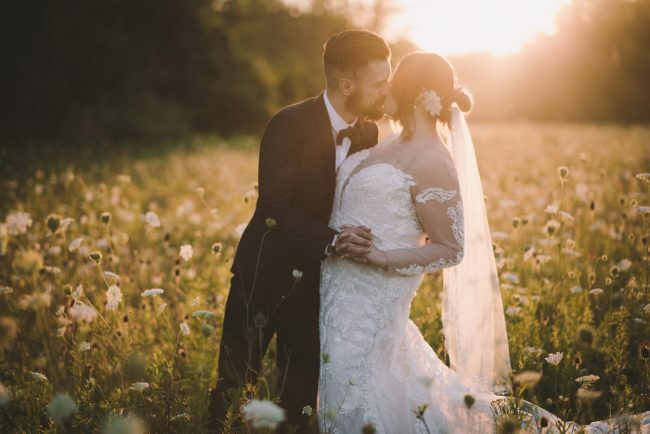 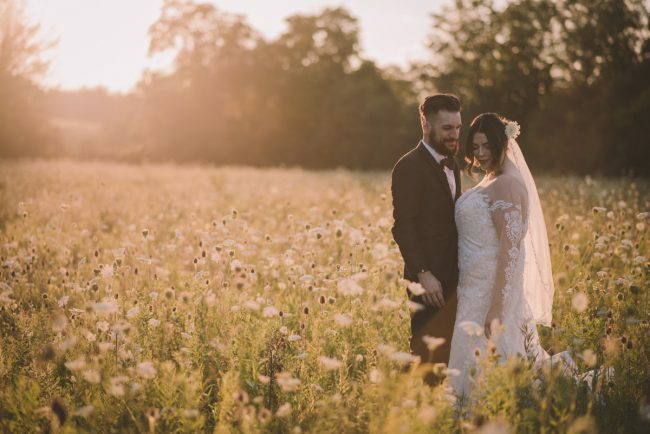 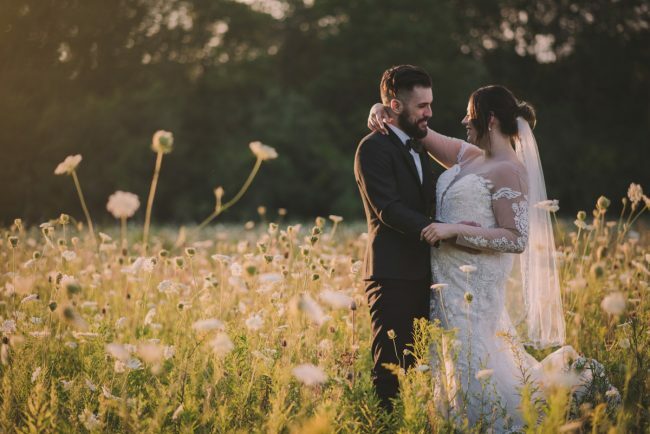 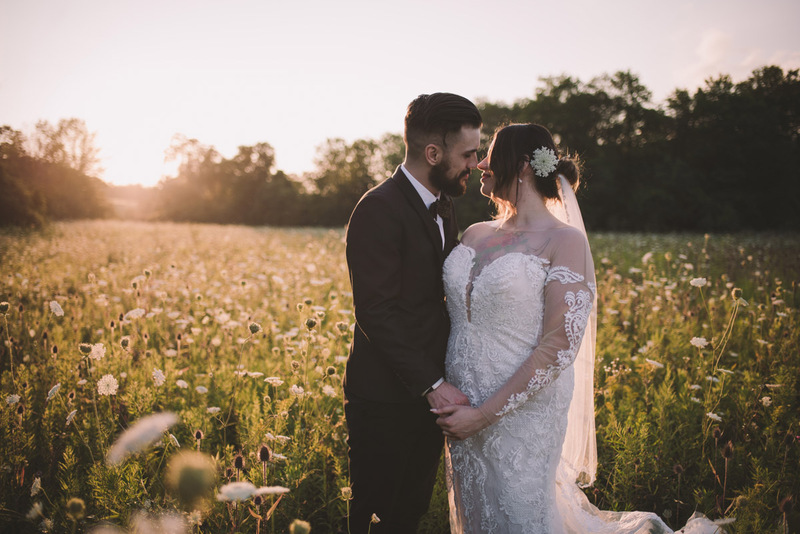 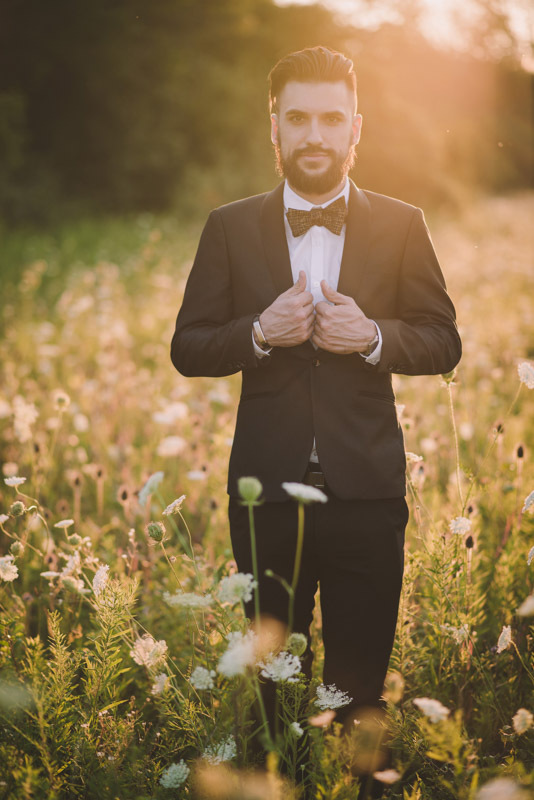 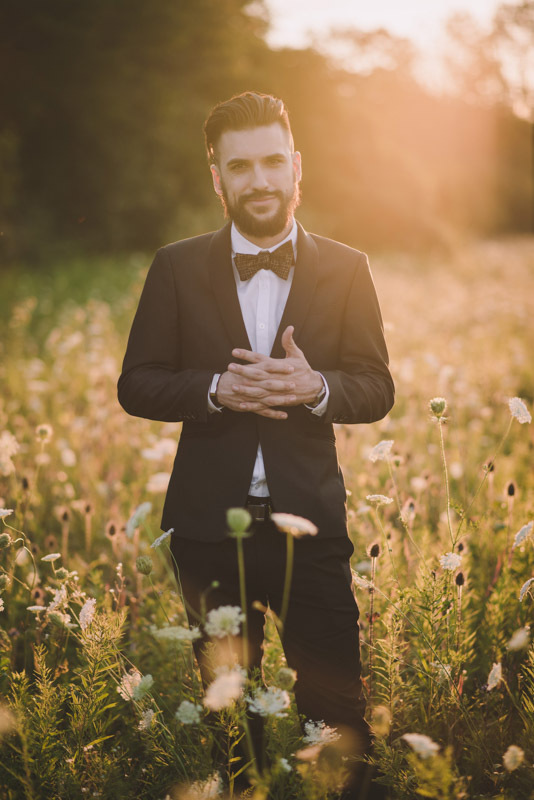 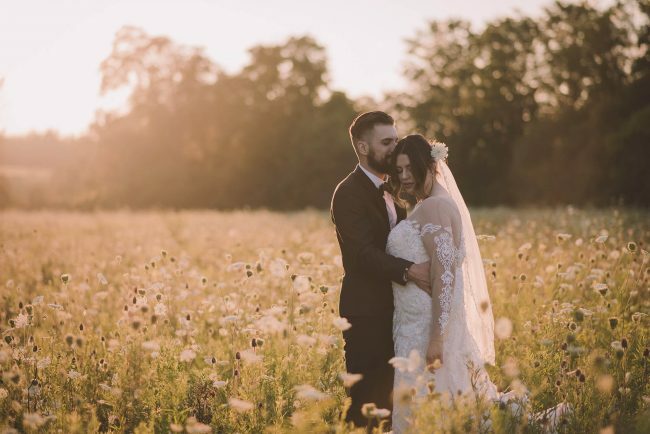 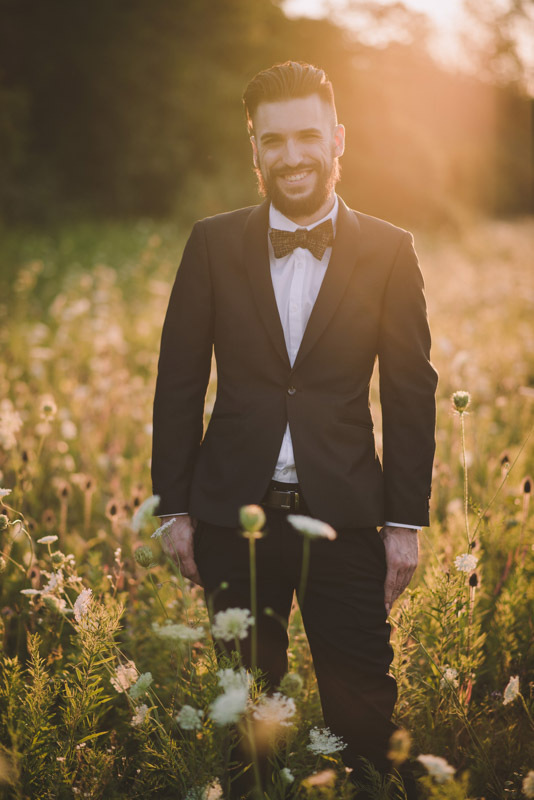 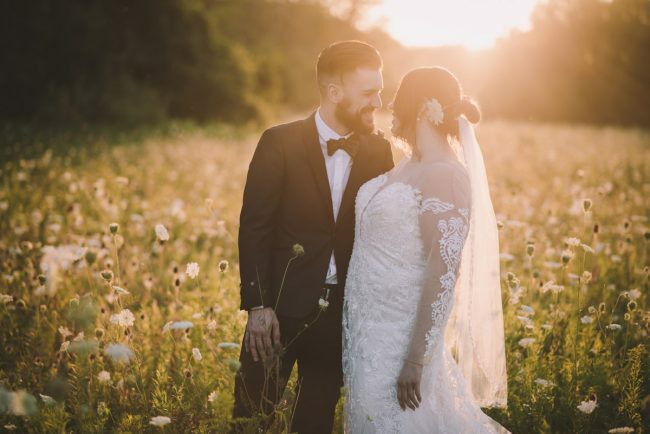 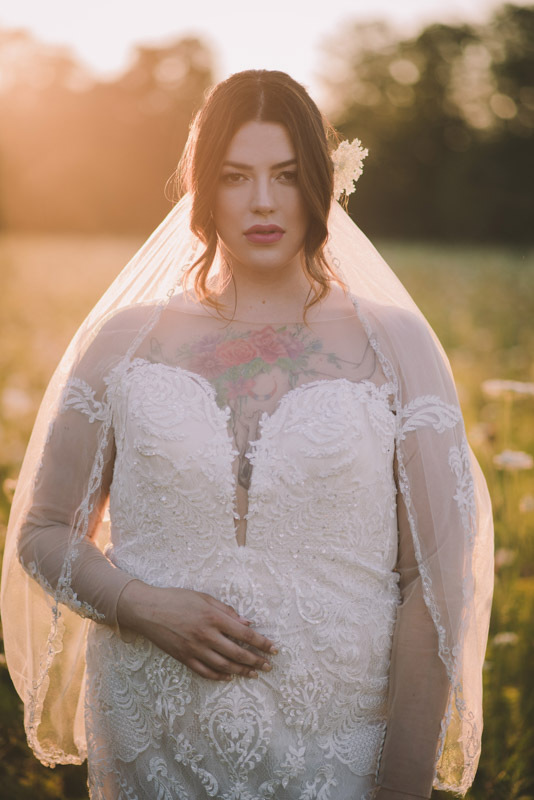 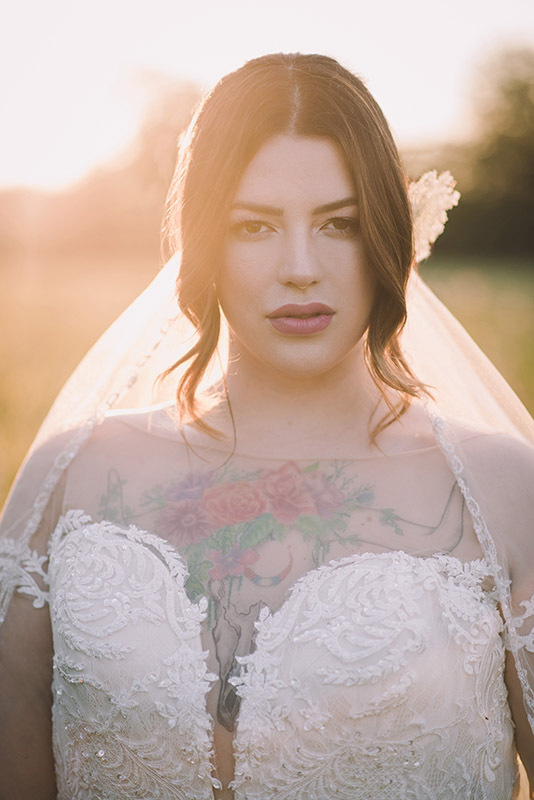 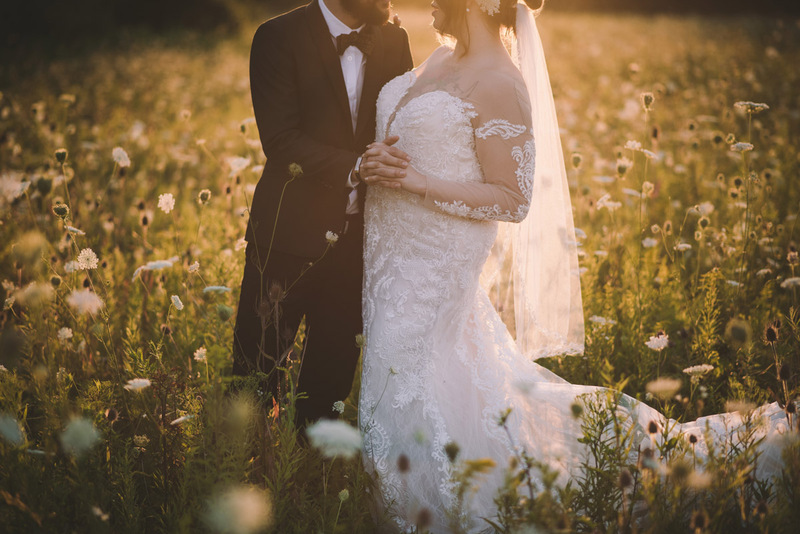 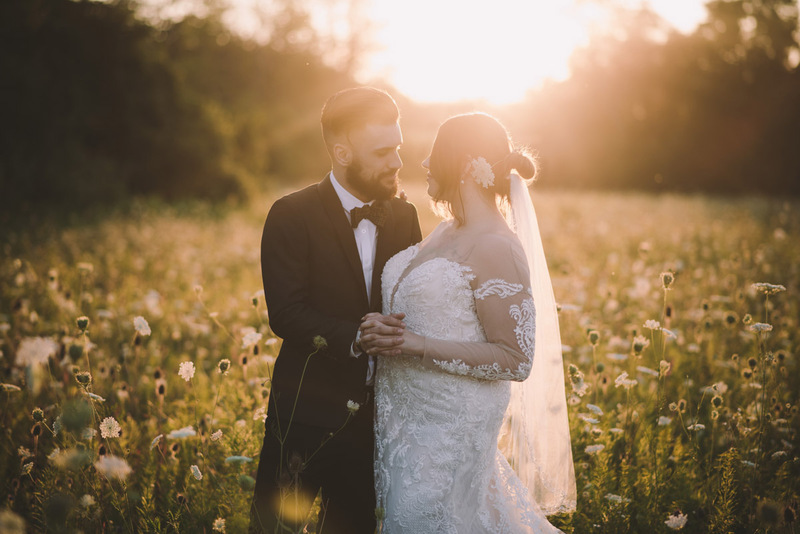 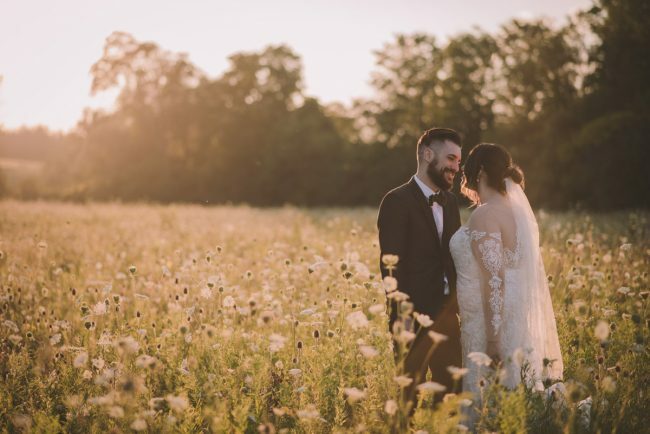 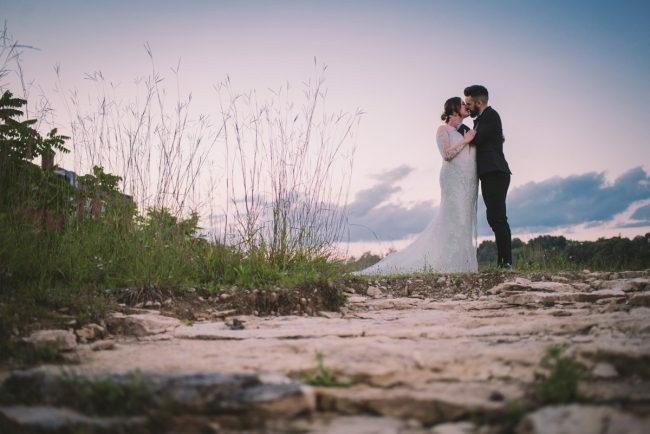 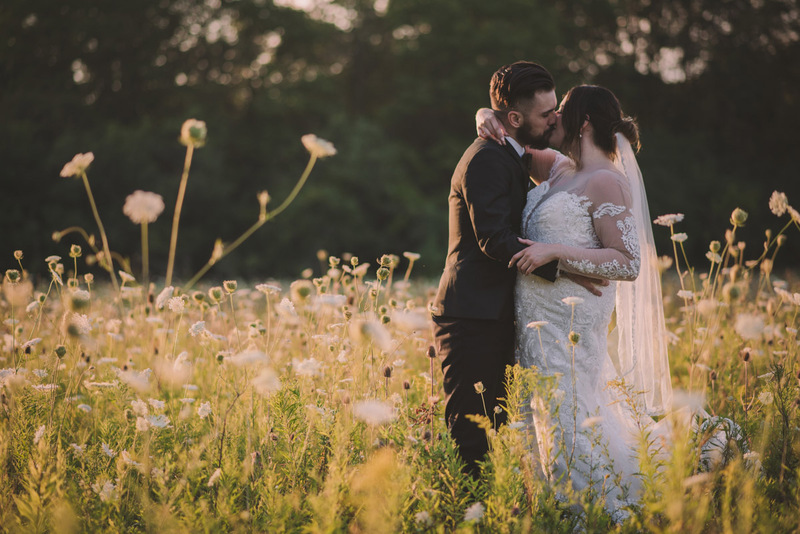 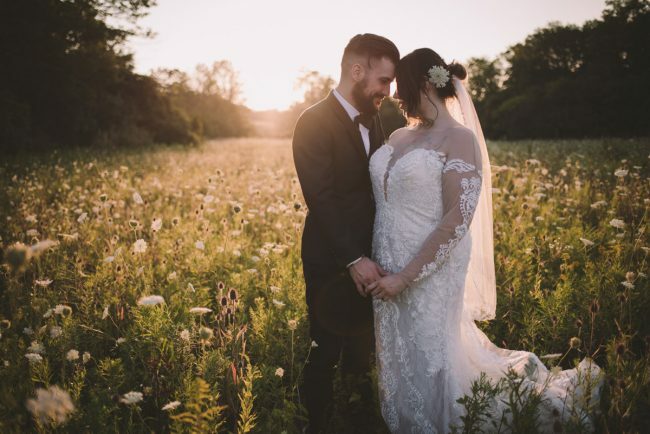 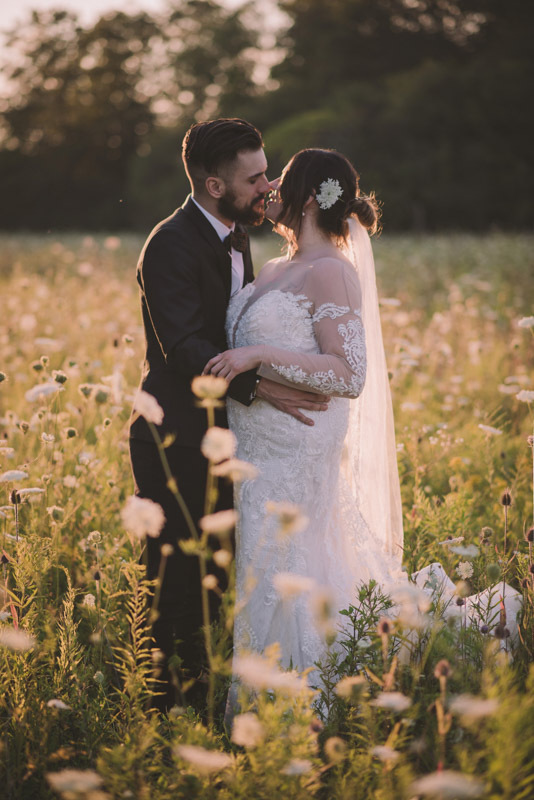 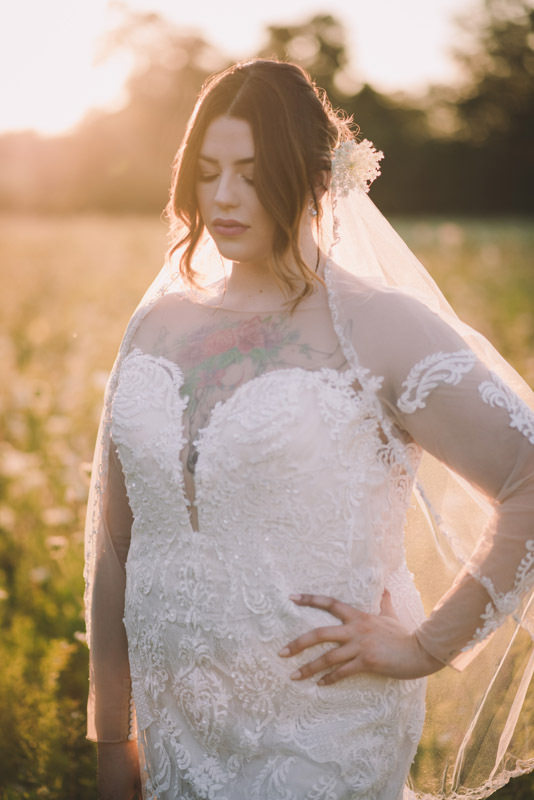 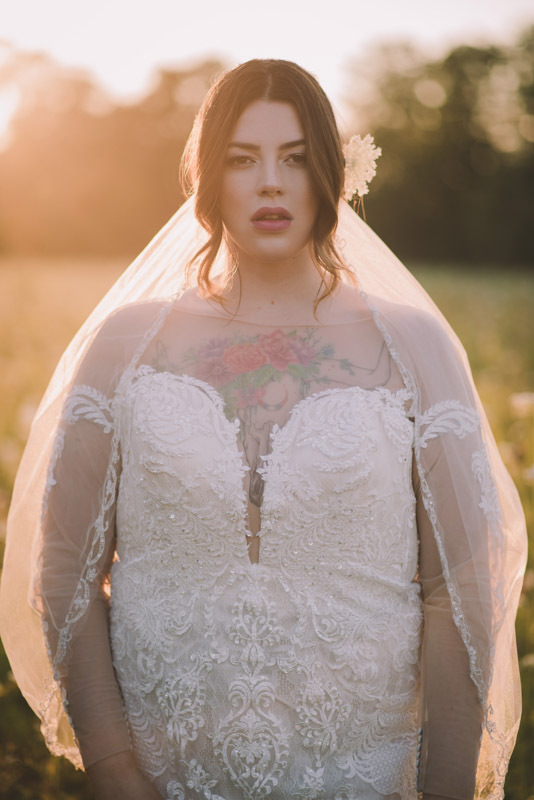 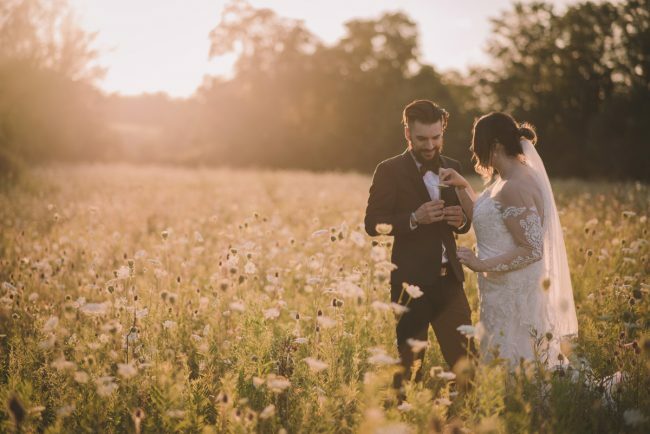 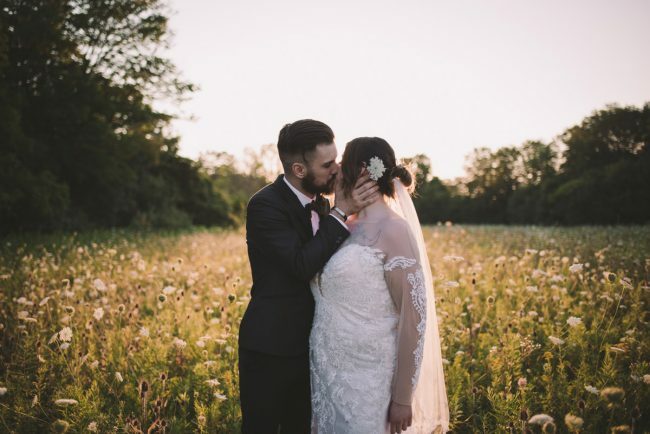 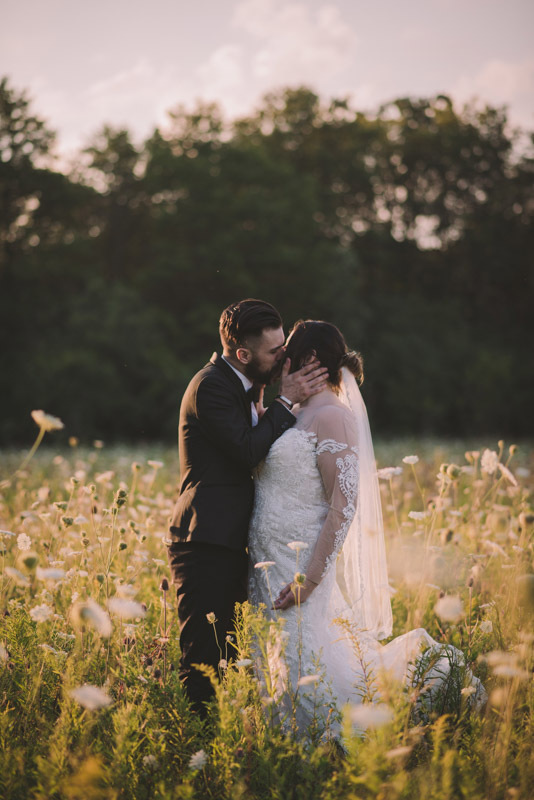 I am in LOVE with these images and the incredible sunset that we had on this day. 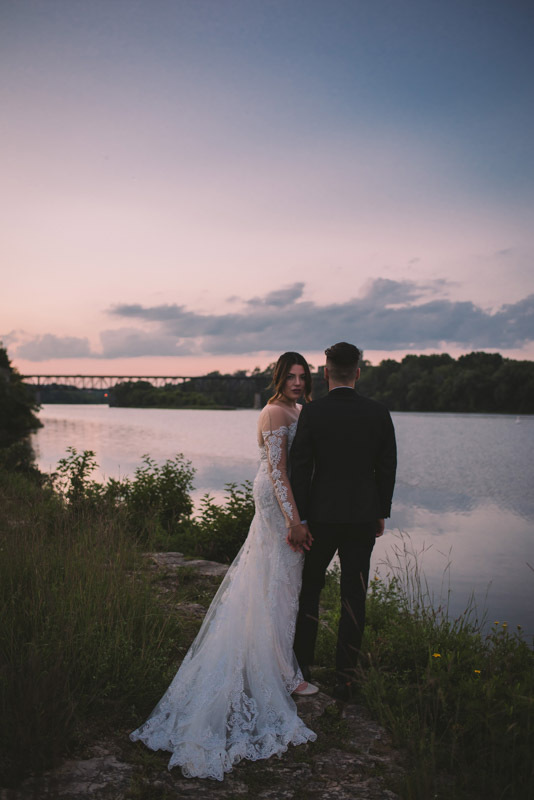 Wishing Sabrina and Max a lifetime of happiness together!